In December 2010, Congresswoman Johnson was elected as the first African-American and the first female ranking member of the House Committee on Science, Space and Technology. Congresswoman Eddie Bernice Johnson is serving her 14th term representing the 30th Congressional District of Texas. The 30th District is entirely within Dallas County and encompasses a large portion of the City of Dallas as well as the entire cities of DeSoto, Duncanville, Lancaster, and Hutchins. Portions of the cities of Balch Springs, Cedar Hill, Ferris, Glenn Heights, Ovilla, and Wilmer are also in the district. The Dallas portion of the district is home to the downtown central business district and Arts District, as well as the neighborhoods of Fair Park, Cadillac Heights, the Cedars, Victory Park, Uptown, Oak Lawn, Love Field, Urban Park, Pleasant Grove, Joppa, South Oak Cliff, Deep Ellum, Munger Place, Swiss Avenue, Lower Greenville, Forest Hills, and West Dallas. Congresswoman Johnson is the first African-American and woman to chair the House Science, Space, and Technology Committee after being elected to the position in January 2019 and is the most senior Texan on the House Transportation and Infrastructure Committee. She is the Dean of the Texas Congressional Delegation and also serves as Dean of the Texas, New Mexico, and Arizona Democratic Congressional Delegation. Upon her election to the House of Representatives in 1992, she became the first nurse ever elected to Congress. In December 2010, Congresswoman Johnson was elected as the first African-American and the first female Ranking Member of the House Committee on Science, Space and Technology. From 2000 to 2002, she was the Ranking Member of the Subcommittee on Research and Science Education where she emphasized education in STEM (Science, Technology, Engineering, and Mathematics) disciplines. Congresswoman Johnson has been a member of the House Science and Transportation and Infrastructure Committees since being sworn into office in January 1993. 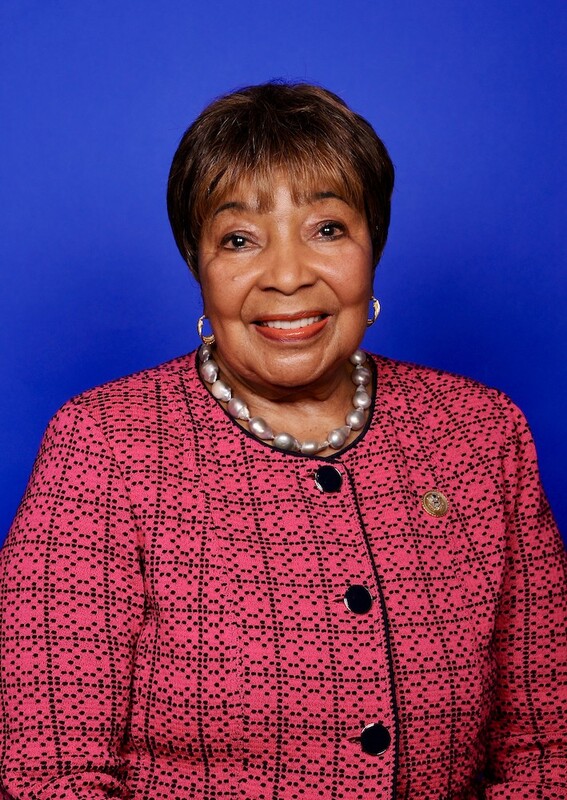 In 2007, Congresswoman Johnson was appointed by House Transportation and Infrastructure Committee Chairman James L. Oberstar (D-MN) to serve as Chairwoman of the Subcommittee on Water Resources and Environment during the 110th and 111th Congresses. The Subcommittee on Water Resources and Environment has jurisdiction over water conservation, pollution control, infrastructure, and hazardous waste cleanup. The subcommittee is also responsible for reauthorizing the Clean Water Act. Congresswoman Johnson has also served in position of Senior Democratic Deputy Whip; Chair of the House Metro Congestion Coalition; Co-Chair for the Congressional Caucus on Homelessness, and Co-Chair for the TEX-21 Congressional Caucus, which is a forum to address Texas transportation needs through the reauthorization of TEA-21. She is Founder and Co-Chair of the Diversity and Innovation Caucus and of the House Historical Black Colleges and Universities Caucus. In addition, Congresswoman Johnson served as Chair of the Congressional Black Caucus during the 107th Congress. Since coming to Congress, Congresswoman Johnson has earned the reputation of being a stateswoman who is dedicated to improving U.S. foreign relationships and policies. She works tirelessly towards improving human rights around the globe. Congresswoman Johnson's acclaimed initiative "A World of Women for World Peace" has been nationally and internationally recognized. Congresswoman Johnson studied nursing at St. Mary's College in South Bend, Indiana where she received her diploma. After returning to her native Texas, she successfully passed the National Board Examination in Nursing. She later became Chief Psychiatric Nurse at the VA Hospital in Dallas, and earned a bachelor's degree in nursing from Texas Christian University in 1967. She received a master's degree in public administration from Southern Methodist University in 1976. Congresswoman Johnson was elected to the Texas House of Representatives in 1972 and became the first woman in Texas history to lead a major Texas House committee, the Labor Committee. As an advocate for workers, children, and families, she was recognized and appointed by President Jimmy Carter to serve as Regional Director of the Department of Health, Education, and Welfare in 1977. In 1986, she was elected a Texas state Senator, becoming the first female and African-American from the Dallas area to hold this office since Reconstruction. Congresswoman Johnson is widely recognized as one of the most effective legislators in Congress. She is credited with originally authoring and co-authoring more than 150 bills that were passed by the House and Senate and signed into law. She also has a long-standing reputation for providing excellent constituent services. Her district office in downtown Dallas specializes in working with all federal departments and agencies to assist constituents in solving a wide range of individual problems. Congresswoman Johnson is the proud mother of her son, Kirk, and of her three grandsons, Kirk Jr., David, and James.